Are an established Scottish company providing excellent service and a huge diverse range of prestige and utility 4×4 vehicles for hire. With two branches located beside Edinburgh and Glasgow airports, this allows for simple pick up and drop off when flying into major Scottish airports. Alba Game Fishing have “hire and reward insurance” in place which is a requirement for transporting guests to fishing venues. 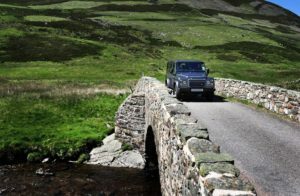 This allows us to compliment our fishing days with any 4×4 vehicle, from the Defender County through to Range Rover V6. Some of our venues throughout Scotland benefit from being in hard to reach places. Hidden lochs and rivers in inaccessible places. If you also consider that in Scotland the weather can turn nasty at any moment in early spring or late Autumn we can get unexpected snow, the 4×4 will make light work of these conditions. 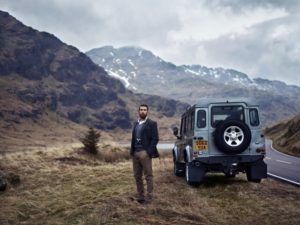 To learn more about 4×4 Scotland and hire a vehicle for yourself, please visit their site.